Presumably, there's no rush to get these PS Pictogram cases out in Japan, considering Sony and bag-making partner Porter have released approximately one billion of them so far. But not a Dissidia Final Fantasy one! The Square Enix fan service-filled fighting game is the latest PSP game to grace the PS Pictogram line, with silhouettes of the Dissidia Final Fantasy lineup making this one feel, well, a little phoned in—even if it was supervised by Final Fantasy character artist Tetsuya Nomura himself. But if you're looking for a replacement for the Final Fantasy VII: Crisis Core Porter case you already own, this one's available for reservations as of today. Price? Just 11,950 yen or about $120 USD. What? 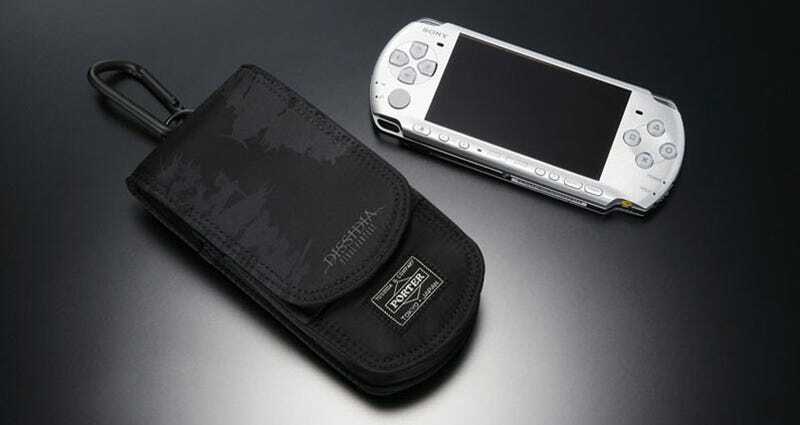 You can't put a price on PSP protection, you know.